A quick and easy meal during the busy holiday time that is loved by the entire family too! How often does that happen? In wintertime, I bake the naan on a pizza stone in a 400 degree Fahrenheit oven following about the same timing for baking as I do on the barbeque grill in the summer. Enjoy the ease of a quick and delicious meal! Do you love the ease of super quick grilled food in the summer? I definitely do! And as summer starts winding down, I take every opportunity to enjoy the outdoor grill and the summer bounty. That is how the Grilled Naan Pizza came about. This is an easy, no fuss, meal that is simply scrumptious! 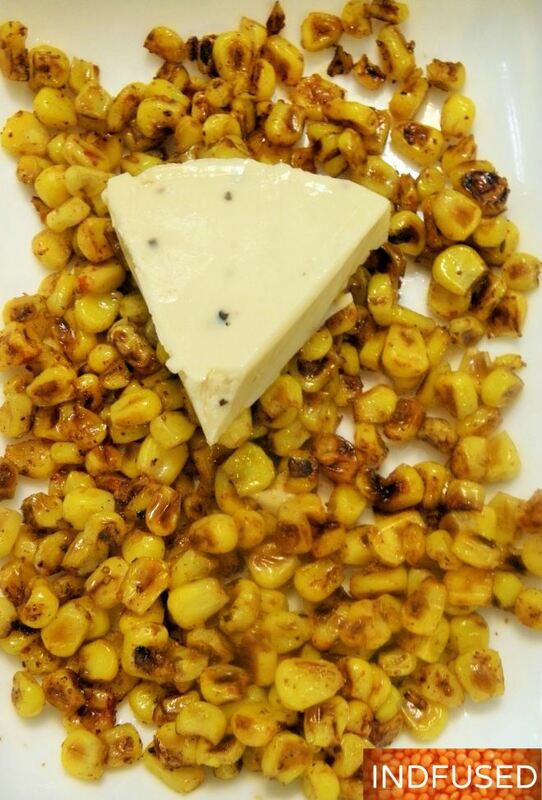 The corn topping is a combination of Indian and Mexican flavors. 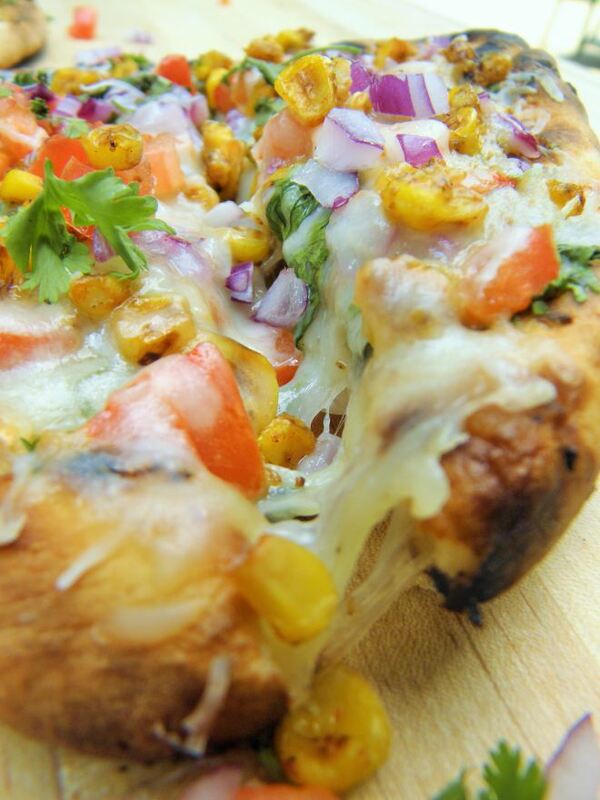 The addition of the fresh summer tomatoes, cilantro and red onion gives this pizza a definite oomph! I started by preparing the corn topping. You can use fresh corn on the cob, grill it and remove the kernels or use frozen defrosted corn and roast them in a teaspoon of oil, in a pan. Then add the cumin seed powder, red chili powder, sea salt, brown sugar and lime juice. Mix. Wow this is awesome…Perfect for holiday season…. I hope you like it Aditi! It is one of our favorites. I also like it because it is quick and easy to make. Thank you so much for your comment! Very colorful and looks amazing!!! Thanks Marisa! It is quick and easy too.